Este Fitness & Spa has been selected as a winner in category „Luxury Fitness Spa” for 2017 in world’s most prestigious Fitness & Spa competition, World Luxury Spa. More than 300 fitness and spa centers all around the globe took part in the competition, and the winners were announced during a spectacular Gala Ceremony held on 22 July in Hanoi, Vietnam. During the event, over 180 VIP guests and celebrities from over 50 countries attended. 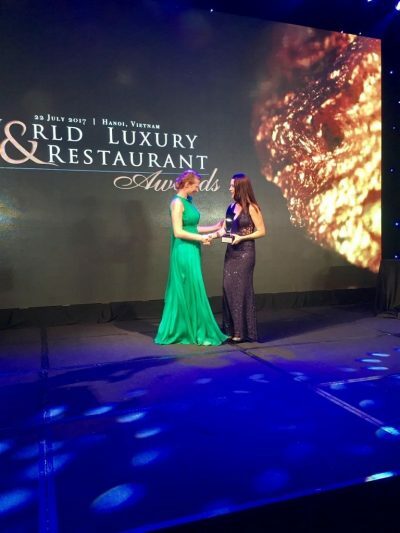 In addition to the exclusive global award, Este Fitness & Spa has received three more local awards – “Luxury Day Spa”, “Luxury Wellness Spa” and “Best Spa Manager”. In this way, Este Fitness & Spa has strengthened its leadership position and ranked among the finest and most luxurious Fitness and Spa centers not only locally in Bulgaria but also internationally. “Este Fitness & Spa trademark is a symbol of first class service and impeccable professionalism, meeting the highest world standards. A team of highly skilled therapists, massage therapists and instructors, including native representatives of the exotic culture of Bali takes care of the comfort of the visitors.” – was described in the prestigious nomination of the complex. The prizes were given personally to Nadya Halacheva, manager of Este Fitness & Spa, who attended the event. 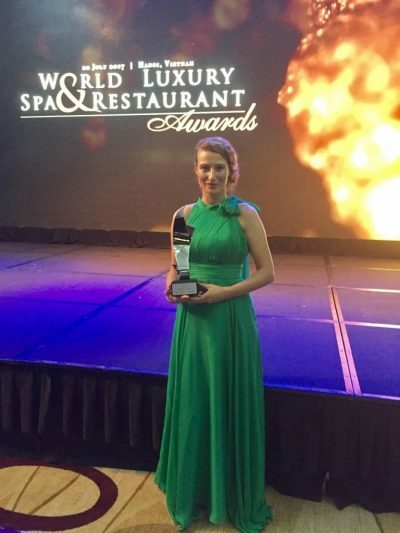 “We are very proud and extremely happy that Este Fitness & Spa has won such a prestigious international award. This is another proof of first-class luxury, exceptional quality and innovations in the spa services which we offer to our customers. 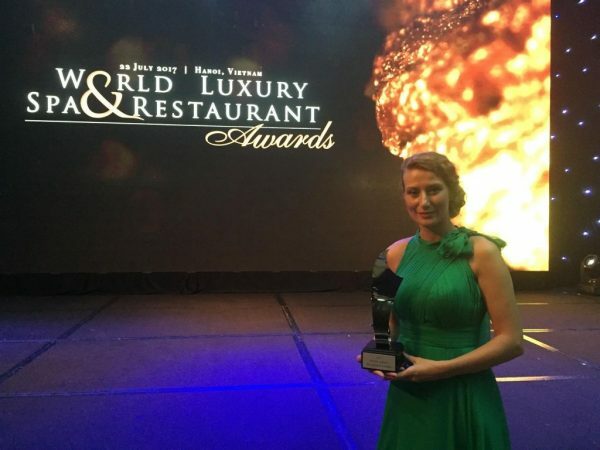 We are also grateful for the excellent ratings received among our customers, because it was one of the key criteria for winning the additional 3 local awards.” said Nadia Halacheva at the Gala Ceremony in Vietnam. The center offers a comprehensive service related to health care, beauty and excellent physical form. On the territory of Este Fitness & Spa the guests can enjoy a rich palette of classic, exotic and author’s massages, spa therapies and rituals, fitness, swimming pool, sauna, steam bath, yoga and pilates. Check out the full list of World Luxury Spa Awards 2017 winners here.